A favourite of cats and children. Catnip plant, Nepeta cataria, makes an aromatic, calming bedtime tea. Also a remedy for headaches, fevers and indigestion. Leaves were used as the base of folk tea in England before the introduction of China Tea, Camellia sinensis, in the 17th century. 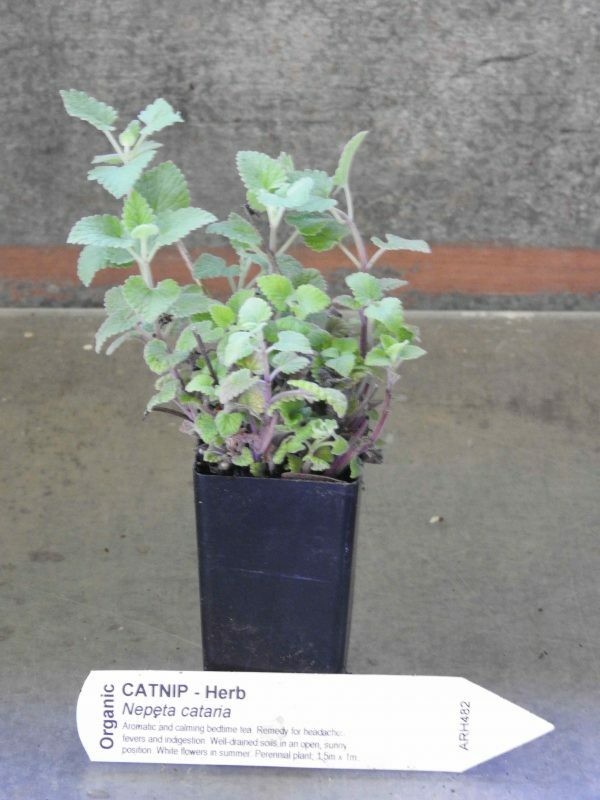 Catnip plant is native to Europe and prefers light to medium, well drained soils in an open, sunny position. White flowers in summer. Frost resistant but drought tender. A perennial plant, it growing to 1.5m x 1m. Be the first to review “Catnip, plant” Click here to cancel reply.